Berkeley International is a specialist in sourcing products worldwide. We have a team of experienced people who each have good knowledge of the sectors which they handle. Berkeley International homepage is an introduction to the various product sectors which we handle. Please browse the content below, and then link to the relevant product sectors. We work direct with producers, manufacturers and suppliers. PALM - an introduction to the oil palm products. Refined palm oil products for food use. canola oil we work with professional refiners who we have personally met. corn oil we work with professional refiners who we have personally met. 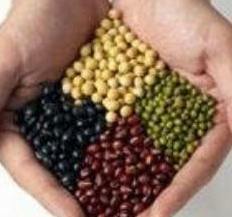 soybean oil we work with professional refiners who we have personally met. sunflower oil we work with professional refiners who we have personally met. We can offer products in packing which ranges from 1 litre to flexitanks holding 21 metric tons. link to RICE homepage RICE is the main food for many millions of people worldwide. In Asia, rice is produced mainly in India, Pakistan, Thailand and Vietnam. Soy products There are many products which are made from soybeans. The basic specifications are shown on our link. animal feed is an important product sector. We have good knowledge of producers of all the products shown below. 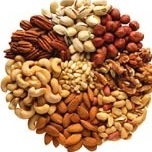 Nuts are a major food product in many world markets. We work with professional producers in many countries. The links below will take you to more detailed information about the nuts. We offer Eucalyptus woodchips from Australia. Photos of the operations area are shown on the link. Minimum shipment is 20,000 metric tons. CFR prices can be discussed. We offer wood and timber for various end uses. We work DIRECT with tapioca producers in 5 countries. The link is to good information about Tapioca, the growing and processing of tapioca and the many uses for tapioca products. This information is mainly from Thailand - all the other producer countries have similar products, processes and specifications. There are many uses for tapioca..
We work with suppliers of several different starch products. There are many types of coal and over 20 countries have large production of coal. Worldwide. Shipments of coal amount to many millions of tons every year. other products can be sourced on request.